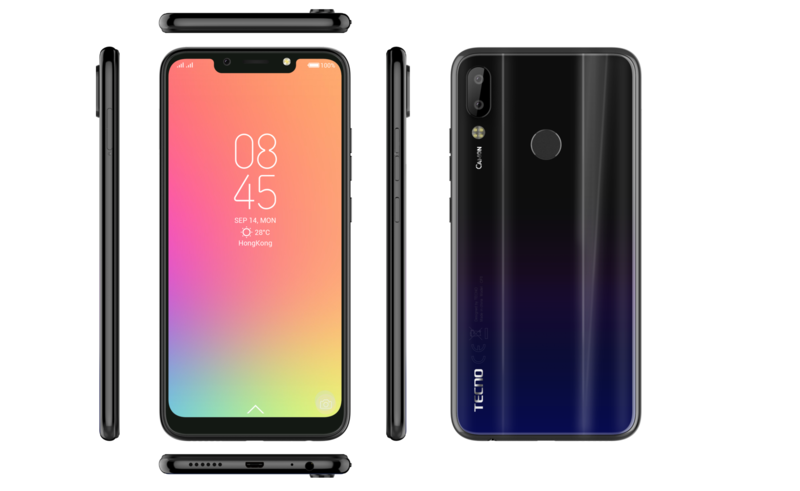 TECNO Camon 11 was just released, and this device is the latest iteration in the TECNO Camon series. 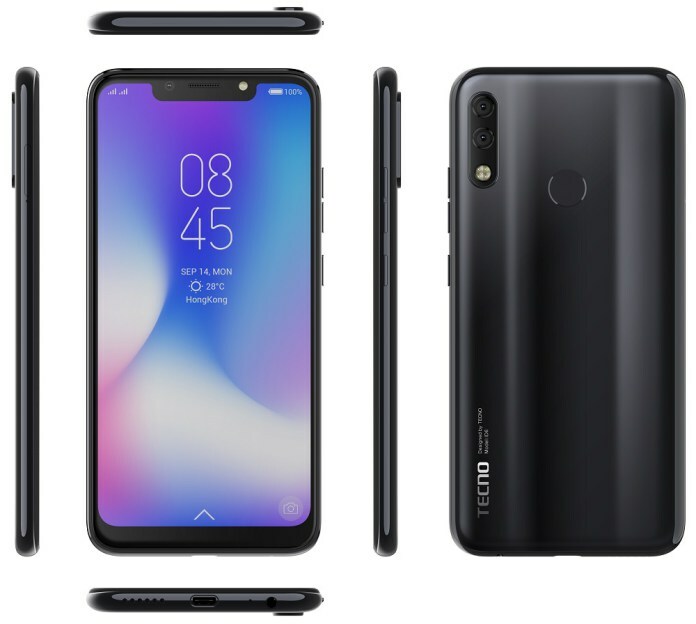 The Tecno Camon 11 is the direct successor to the TECNO Camon X, which was released into the market 6 months ago. The new TECNO Camon 11 comes with some notable improvements over the Tecno Camon X, and one huge notable difference is it’s bigger screen display, and with the top of the notch 19:9 aspect, this device gives me pleasure in reviewing it. The TECNO Camon 11 is basically the smartest and most beautifully device ever from Tecno-mobile. The Camon 11 comes with a splendid 6.2-inch IPS LCD display, and a screen resolution of 720 x 1520 pixel. Located at the top notch, is a single selfie camera, coupled witha speaker grill and the proximity sensor. While at the back of this smartphone, you get to see a dual camera setup, which is vertically lined up at the top left of the Camon 11 back. Tecno decided to bring the fingerprint sensor a little bit down, as the fingerprint sensor for biometric verifications/authentications was strategically placed on the middle at the back of this device. The device also has dual SIM slot, and a separate dedicated MicroSD card slot, which makes it easier to use dual sim comfortably, and still insert a MicroSD. The TECNO Camon series have been known to have one of the very best cameras among other Tecno’s product. Located at the back of this device, is a double camera setup of 13MP + 2MP, which is Portrait mode ready with Quad-LED flash, which makes it super easy to take Photos in a low light / dim environment and still get the best photos. While for those who love taking selfies and video calling, there is a 16MP camera which takes smart photos of you, including an extra LED flash which helps to brighten any selfies taken in a low light environment. You get the option of turning the flash on/off. At the helms of the affair, is MediaTek Helio A22. The MTK Helio A22 takes complete control of the device with quad-core processors, with a clocking speed of up 2.0GHz. For those who plan on multi-tasking and gaming, this device has an ARM Mali-G71 MP2 GPU for that. This is paired with either a 3GB or 4GB of RAM for a smooth feel. Surely, this device is built to give users, a smooth running experience. Both rams feature a 32GB internal storage, and for those who may have a need for greater space, then you can easily expand the memory via a MicroSD card slot up to 256GB. The device runs Android 8.1 Oreo out of the box with TECNO’s HiOS skin version 3.3. You’re absolutely getting the best out of everything here. The battery of the TECNO Camon 11 stands at 3,750mAh, which didn’t disappoint me at all. I believed that a 3,750mAh battery is powerful enough. According to an experiment conducted by Tecno, the Camon 11 battery, is capable enough to get you through a day. Although other low budget device does come with this feature, I still want it in devices like this. The Camon 11 supports MediaTek’s fast charging technology, meaning that it takes lesser time to charge the battery to 100%. A 118 minute (2 hours) charge is capable of getting you 100% from 0%. This smartphone supports 4G LTE, giving you a faster internet connection. Micro USB port and support for USB On The Go. The TECNO Camon 11 Price for the 3GB/32GB version starts at $161 USD, and when converted to Naira, is approximately N59,000 only. While the bigger 4GB/64GB version is $185 USD, which when converting to Naira, is about N65,000 only. This smartphone was recently launched in Lagos state, Nigeria, on the 19th of November 2018. The Tecno Camon 11 did exceed my expectation and looking at the price, you get to see that it’s an affordable midrange smartphone. Seriously, there is absolutely nothing I can fault with this device, except its battery, which I thought should be around 4,000mAh. But everything else about the Tecno Camon 11 is perfect.